On October 21st 2015 it will be Back to the Future day, the day that Marty McFly and Doc will arrive as seen in Back to the Future II. Until then what can we expect to celebrate this occasion and the 30th anniversary of the first Back to the Future film? How about catching up on all 19 Jaws films thanks to Universal Pictures Home Entertainment? Feeling thirsty while watching the Jaws film marathon? 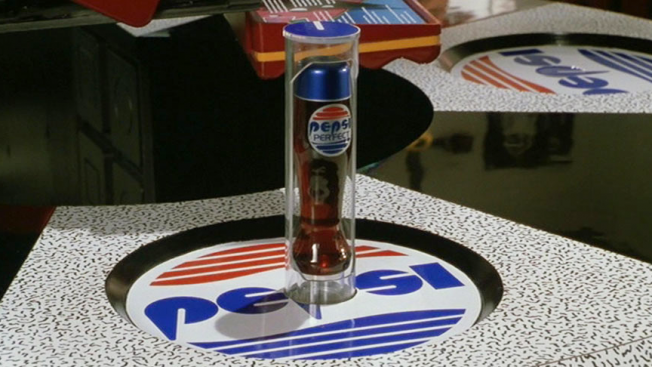 Then why not quench your thirst with Pepsi Perfect, yep the exact same bottle design that the film Back to the Future II predicted that would exist in 2015. 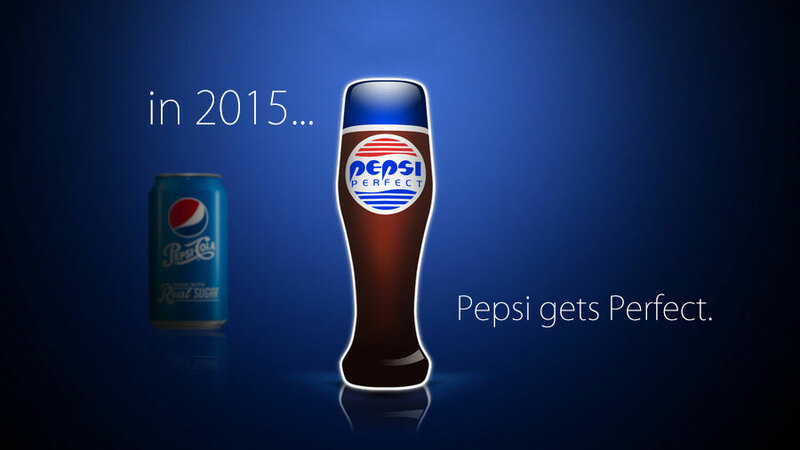 On or around Oct. 21, Pepsi will release details about how the 6,500 bottles can be bought online. Davie Brown President Tom Meyer said it’s not often marketers get a chance to go back in time to relive some of the glory years. He said it’s life now imitating art by bringing the future to the present. 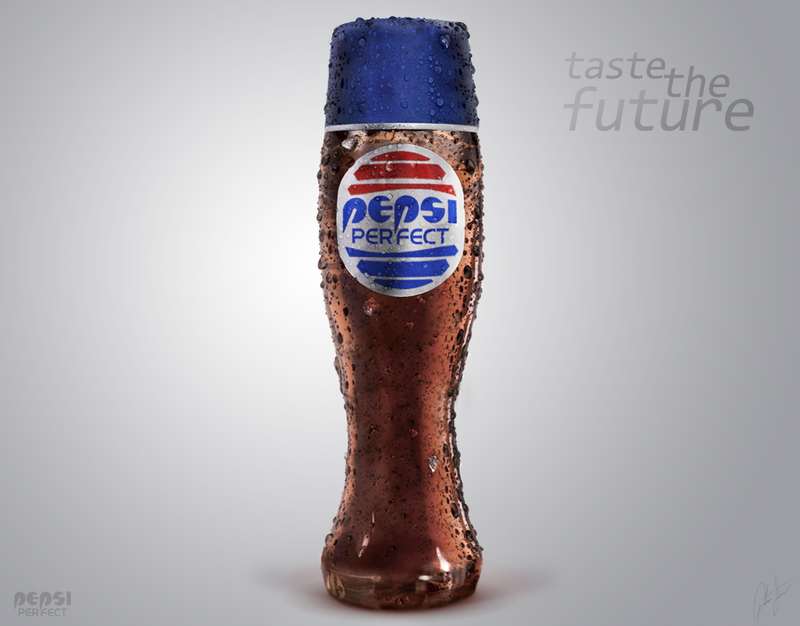 The taste of a 2K generation, carrying on a long tradition, Pepsi Perfect, the future is now. 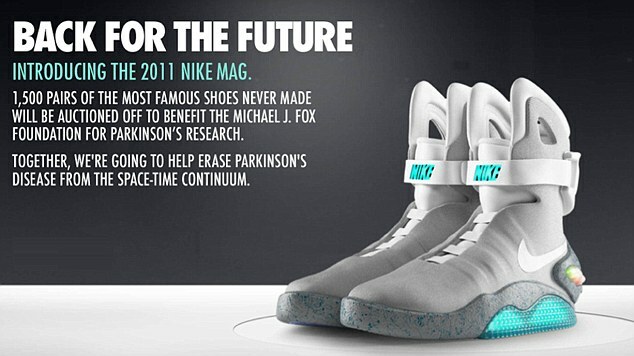 Back in 2011,1500 lucky people with money to burn bought a pair of Nike’s limited edition shoes based on the ones featured in the film Back to the Future II. However they weren’t self tying shoelaces as featured in the film as that design was impractical. During filming actor Michael J. Fox had to wear wires running down his pants to make it work. 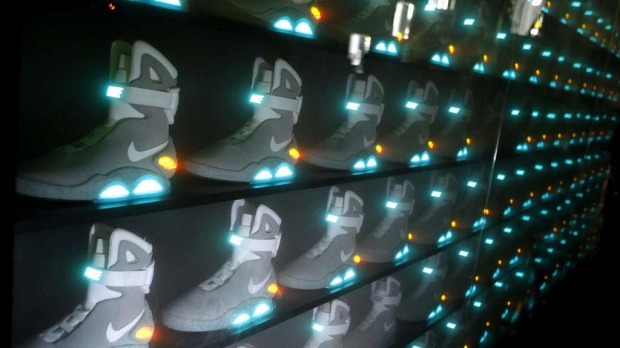 The 2011 version was rechargeable, it contained an electroluminescent “Nike” panel on the strap and various LED lights on the sole and heel. The shoe could glow for five hours per charge. It was designed by Nike designer Tinker Hatfield, who also helped create the original version featured in the film. Of course we can’t forget the hoverboard. Ever since Back to the Future II everybody wanted one but how far have we actually got to making the hoverboard a reality? While we have yet to successfully design a hoverboard that can cover all types of surfaces as seen in the film, we are getting there. Below is a hoverboard designed by Zapata Racing that can hover over water surfaces. 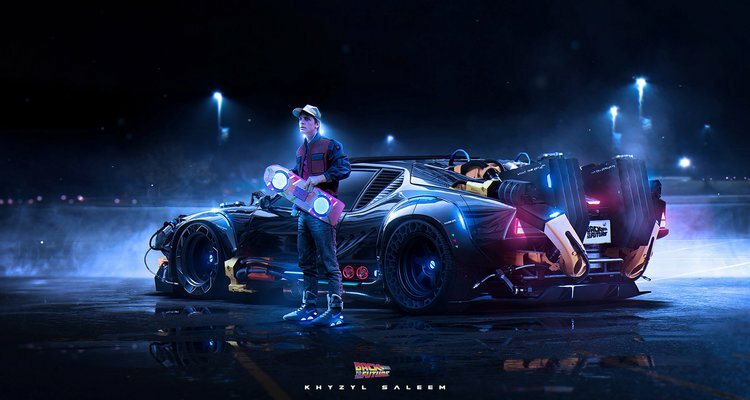 This looks like so much fun, I definitely want this for Back to the Future day. Hendo Hover created a hoverboard that work’s brilliantly on skate park surfaces, if only we could afford one. You can read my article on it last year here. 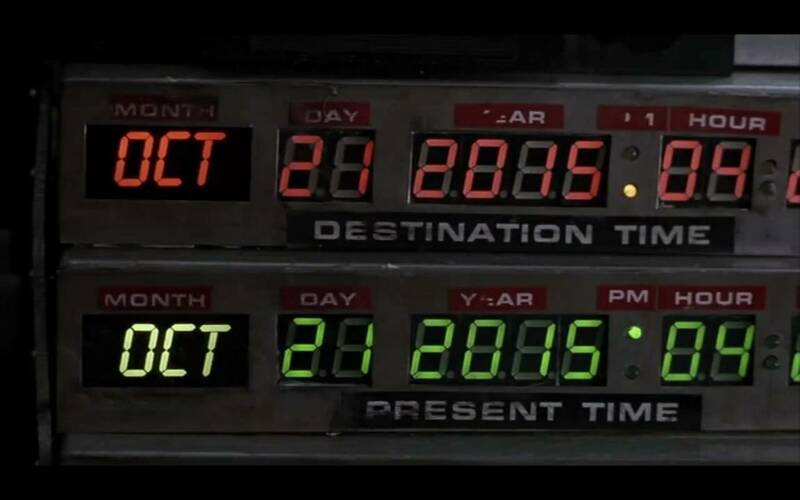 Here’s hoping everybody has a great Back to the Future day in 21st October, 2015. 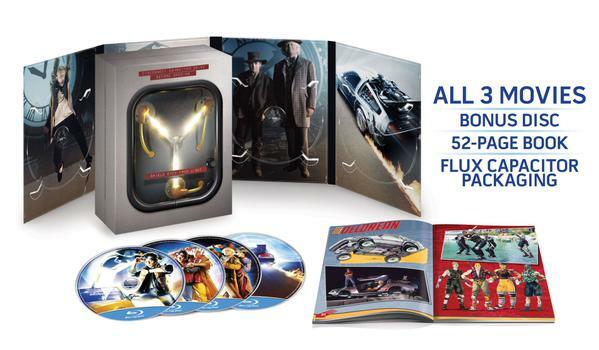 Don’t forget to get your copy of Back To The Future with this Limited Edition Flux Capacitor Boxset! Lastly if the film was released this year, this is what the Delorean may have looked like.